A Scottish council has been praised for its efforts to help disadvantaged children do better at school. Renfrewshire is the first area to be rated "excellent" for its progress improving learning and closing the attainment gap between children from relatively rich and poor backgrounds. Education Scotland noted several significant year-on-year improvements. Family study sessions, a school activities fund and a literacy scheme were among the initiatives highlighted. About a quarter of school pupils in Renfrewshire live in areas which are among the most deprived in Scotland. Education Scotland found significant year-on-year improvements in listening, talking, reading, writing and numeracy, with the attainment gap closing across all measures. The inspection report praised the "very successful" approach which sees support extended across all the area's schools. It also cited highly effective leadership, excellent governance and a shared vision. Chief inspector of education for Scotland, Gayle Gorman, said: "Closing the attainment gap is vital for a modern, successful Scotland and that is why, since late 2017, Education Scotland's Inspectors have been working in partnership with Audit Scotland with the goal of reporting on the progress made by local authorities in improving learning, raising attainment and closing the poverty-related attainment gap." She said Renfrewshire Council's improvement plan "reflects very clearly the council's strong commitment to early intervention together with the council's very successful strategy of using universal approaches to raise attainment for all, alongside targeted interventions to close the poverty-related attainment gap". 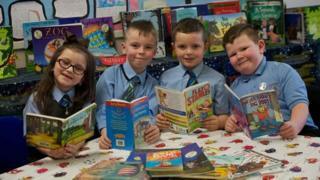 She added: "The commitment and focus of Renfrewshire Council on developing high-quality learning and teaching and leadership at all levels has led to improvements in children's and young people's learning and progress." Raising attainment and closing the gap between how well children from relatively rich and poor backgrounds do at school is one of the Scottish government's policy priorities. Renfrewshire has received £10.4m in Scottish government Attainment Challenge funding since June 2016. It has achieved an 11 percentage point increase in expected levels of literacy and a five percentage point increase in expected levels of numeracy from 2015-2018. Over the same period, the poverty-related attainment gap has reduced by six percentage points in literacy and four percentage points in numeracy. Prof Sue Ellis, from the University of Strathclyde's School of Education, said: "The Renfrewshire Literacy Approach is evidence of the successful partnership between the University of Strathclyde and Renfrewshire Council and has addressed real-life, complex problems of practice and led to improvements year-on-year. "It has made a real difference to the children of Renfrewshire by raising attainment, improving learning and narrowing the poverty-related attainment gap. "Everyone from academics, head teachers and teachers, local authority staff and classroom assistants, worked on introducing a diverse range of children's literature, as well as learning and teaching activities that engaged children on all levels." She said she hoped the work done in Renfrewshire could now "inform policy and practice across the whole of Scotland". Renfrewshire Council deputy leader Jim Paterson said: "Our success is down to a collective approach. "Children and young people have gained belief in themselves and I want to thank them and their parents and carers for their effort and commitment to learning. "Our Children's Services team has also provided the right support and created the space to allow schools to deliver high quality learning and teaching. "And staff in schools have once again shown their commitment to doing the best for our children by committing the energy and drive to deliver innovative approaches which are changing the opportunities for Renfrewshire children both during their school years and for their choices when they leave school." Deputy First Minister John Swinney described Renfrewshire's results as "extremely encouraging". He added: "I look forward to seeing how the local authority builds on this momentum to truly ensure that every child in Renfrewshire is given the best possible start in life, no matter their background."